We are 7 years old !! Woo Hoo! the last few years have flown by in a flash, they do say that time flies when you’re having fun and we are having a blast! 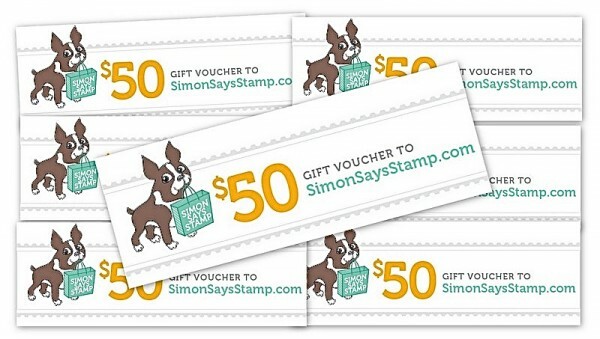 7 $50 Gift Certificates to shop at the fabulous Simon Says Stamp Store! So you have 7 chances of winning this week! Of course in honour of this special occasion we are showcasing our very own SIMON SAYS STAMP PRODUCTS this week. You don’t have to use them to join in with the challenge, but if you have them we would love to see them used! I am celebrating our birthday with two coordinating cards. 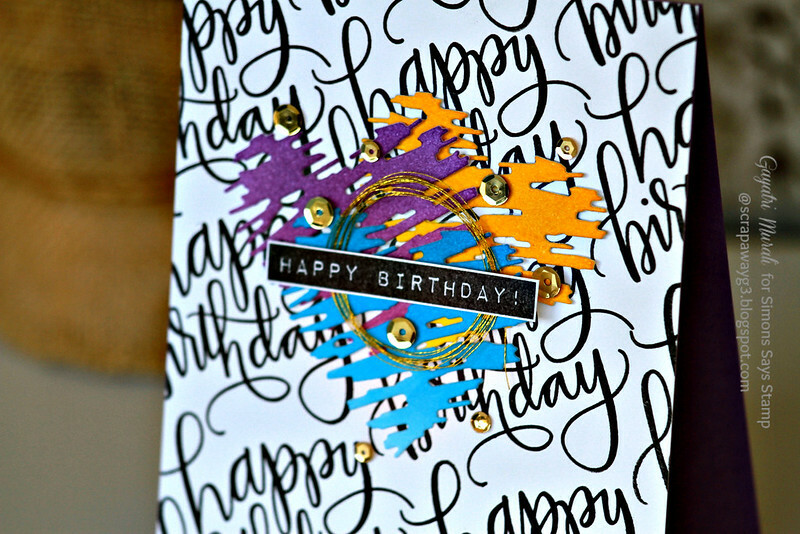 I have used happy birthday sentiment from Big Scripty Greetings stamp set to stamp my background on both the cards. Then I sponged some white cardstock with distress inks in ombre in all rainbow colours. I used Scribble Heart die to die cut them all out. I clustered them in three to use as my focal point on both the cards. 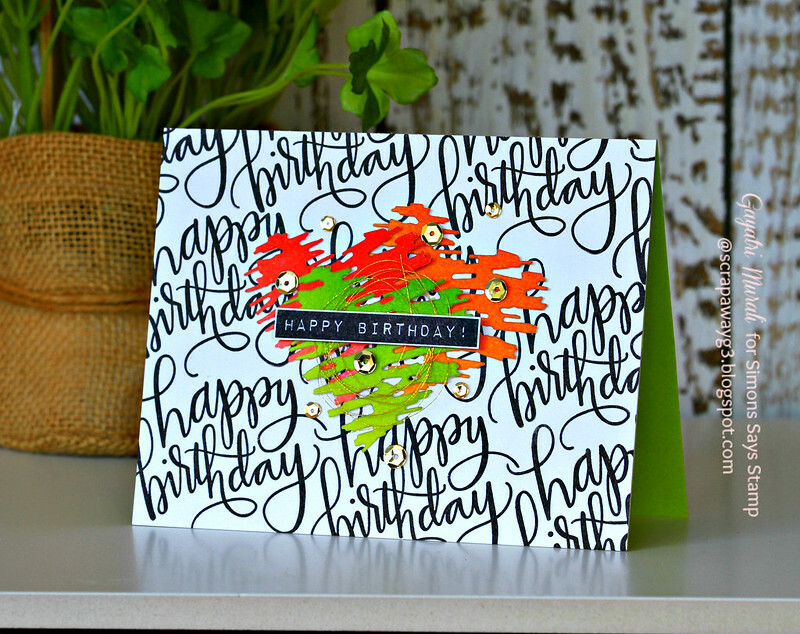 The smaller sentiment is from Birthday Flowers stamp set. I added some gold thread behind the smaller sentiment and embellished with gold sequins from Pretty Pink Posh. What a great mix of products, Gayatri! The big scripty birthday makes a fantastic background for the modern heart die! 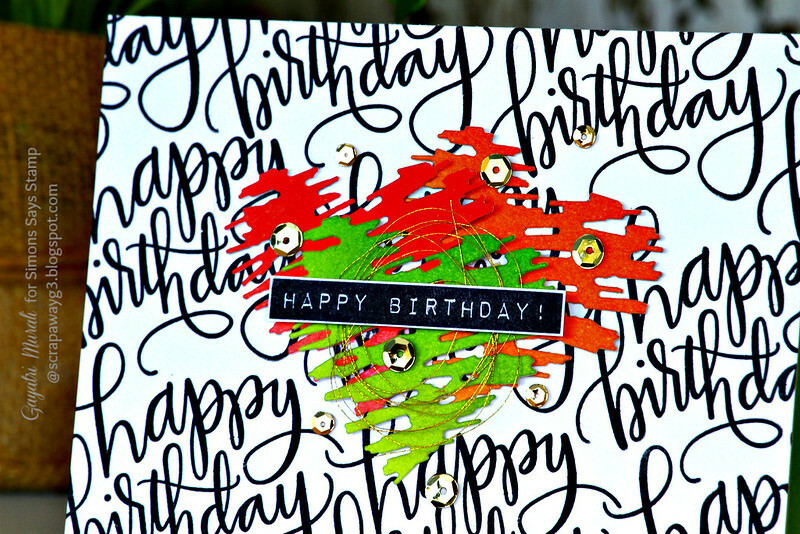 Gorgeous cards Gayatri, lovely colours and super sentiment messages! I think I prefer the orange and yellow one beat!! Wow, this is great. I really love the large scripty HB. TFS! Fabulous cards!!! I love the scribble Heart!! What a COOL design, Gayatri! Love what you did with the scribble hearts!! That is one awesome creation! fabulous cards Gayatri. Both of these are so awesome. 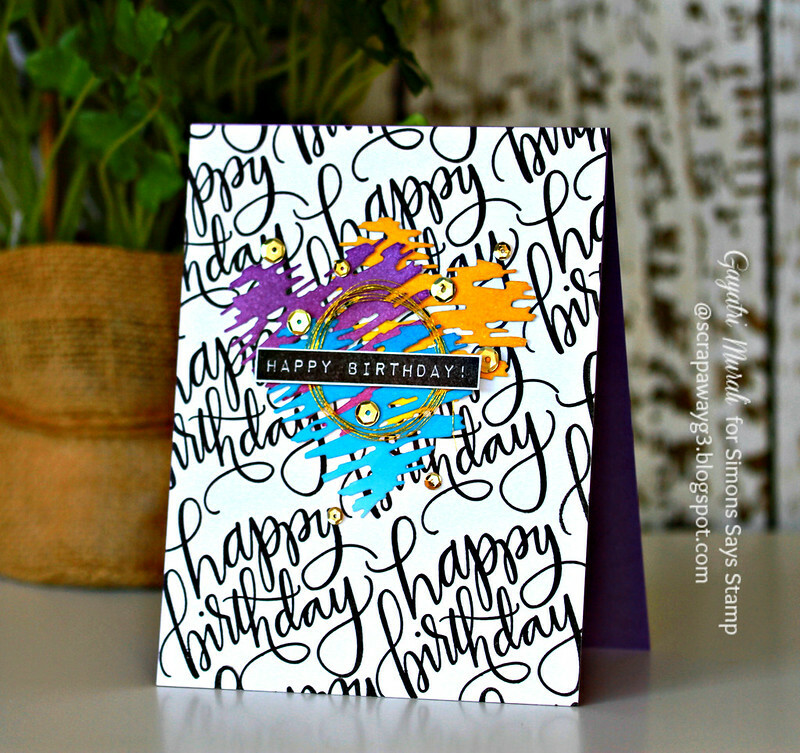 These are gorgeous Gayatri – love the bold background.